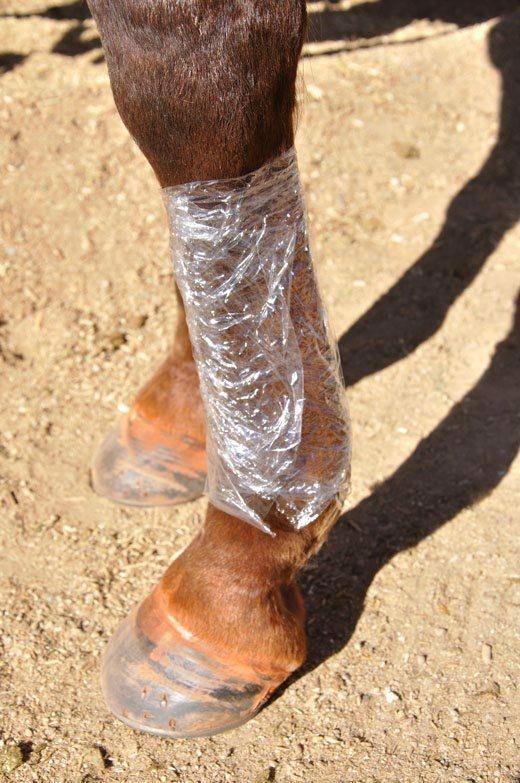 The art of wrapping equine legs and the purpose of sweat wraps. 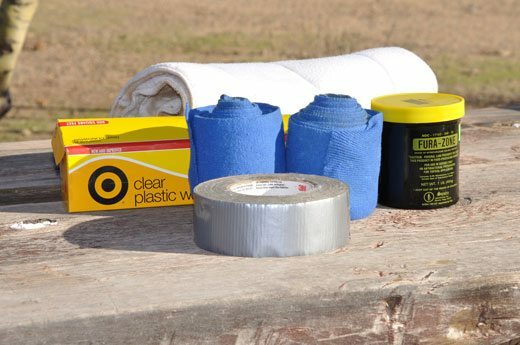 You will need a quilt, a track bandage wrap, lightweight plastic wrap, a sweating agent and duct tape. 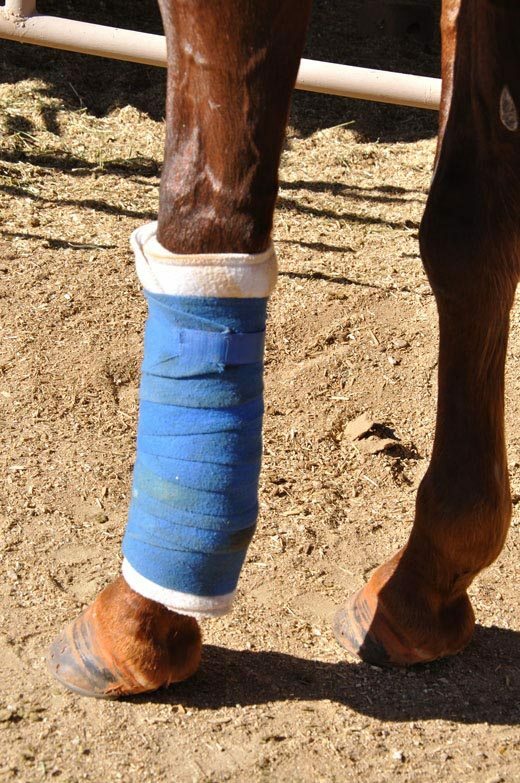 Leg wrapping can sometimes be a scary task: fear of doing something wrong and causing the horse injury in the process, is a valid concern. 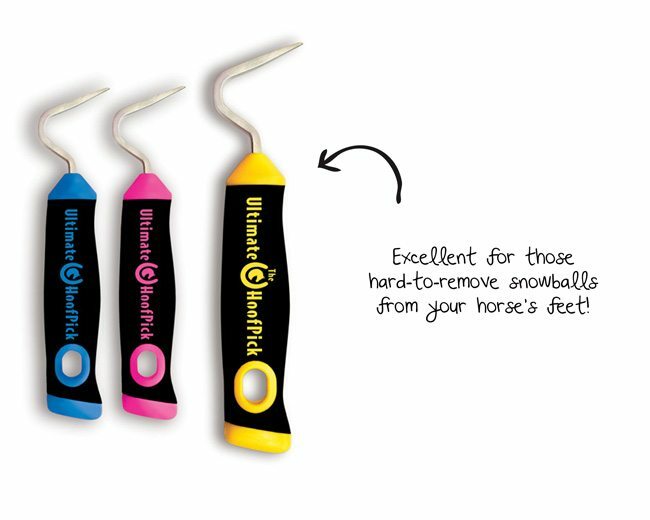 Shoddy wrapping or improper use of certain techniques can cause serious problems for your horse. Add that to the number of types of leg wraps there are and the chore seems daunting. 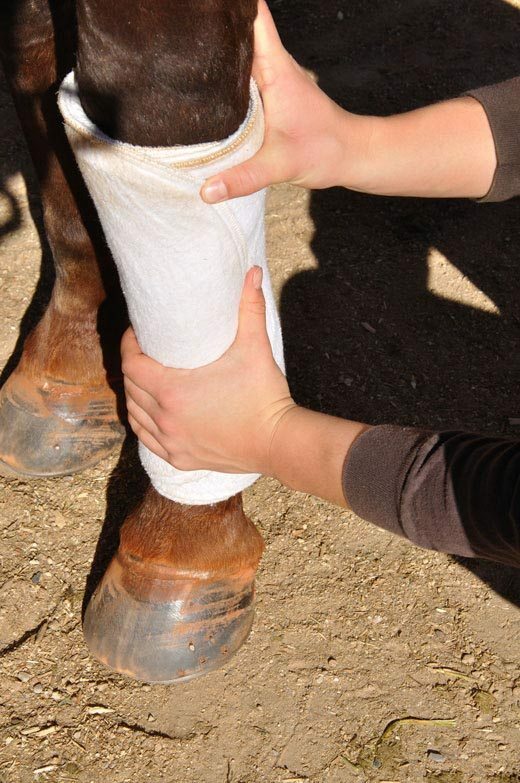 With experience in the jumping, polo, cow horse and reining industries, one thing I am often asked to do is wrap legs. 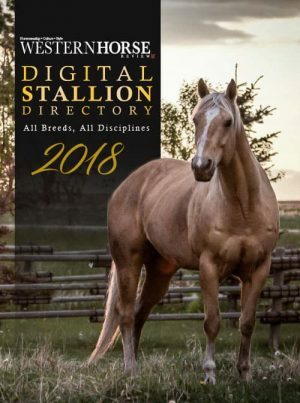 And if the person isn’t requesting that I actually wrap their horses’ legs for them, they’re likely asking questions regarding the reasons why certain bandages are used or how to employ specific techniques. 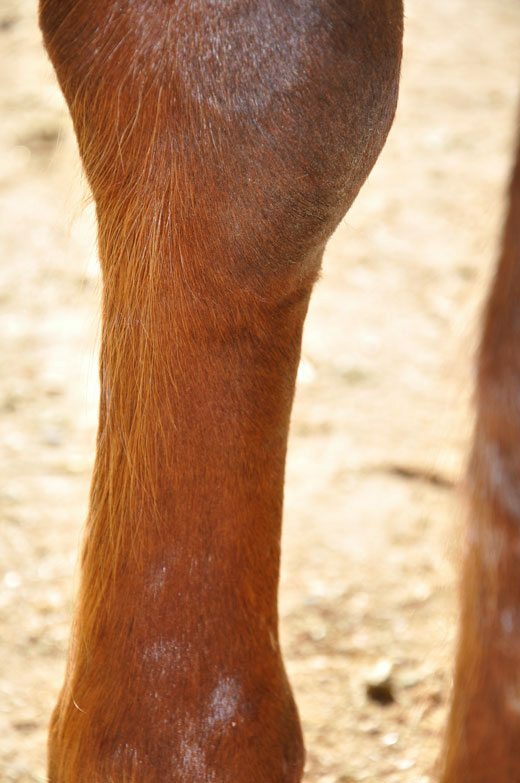 Years of witnessing the strains of horse activity (before and after) has helped me appreciate the art of wrapping legs. It has become a very valuable skill. 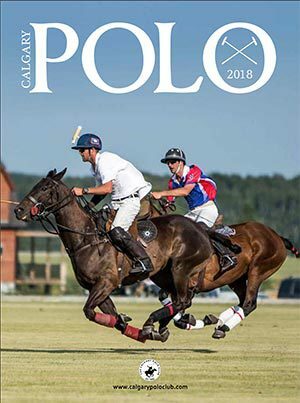 In this blog entry, let’s concentrate on sweat wraps – these are beneficial as an aid in reducing fluid build-up in horse’s legs. On occasion, I have used sweat wraps for circumstances that include small wounds, however in such an instance, sometimes a vet needs to be consulted first. 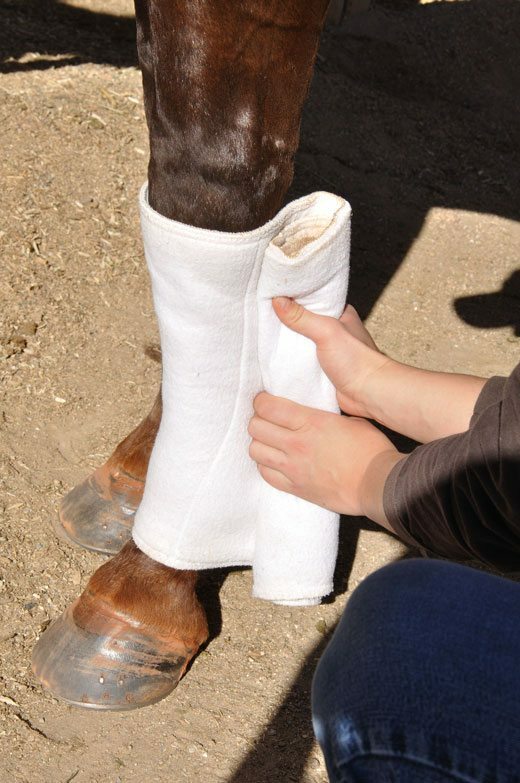 Sweat wraps are helpful if your horse has suffered a sprain, splint or traumatic injury, or is required to be on stall rest for an extended period of time. Inflammation and swelling can damage tissues and cause pain: sweat wraps – which create heat to increase blood flow and provide support – may be useful for reducing fluid build-up in the legs. Start with a clean, dry leg. In a sweat bandage, a “sweating agent” is applied to the leg, then cover with plastic wrap and bandaged with a stable/standing wrap. There are various preparations that can be used to sweat legs, however my preferences are limited to DMSO (dimethylsulfoxide) and Nitrofurazone ointment. 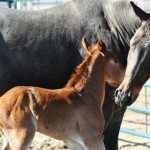 DMSO is a very powerful agent because it penetrates the horse’s skin quickly and can take with it, other substances such as antibiotics or anti-inflammatories. DMSO should only be used with the advice of a veterinarian. Always wear gloves when applying DMSO! Then once the sweating preparation is applied liberally to the part of the leg requiring bandaging, wrap a lightweight kitchen plastic wrap around the sweating agent. Ensure the plastic layers are as smooth as possible (no wrinkles). Only a couple layers are necessary, enough to cover up the furazone or DMSO. Begin to wrap the padded quilt of your stable wrap overtop of the plastic wrap. Start the quilt edge at the back of the cannon bone and wrap counter-clockwise for left legs, clockwise for right legs. Ensure there are no wrinkles and that the quilt lies flat against the leg. 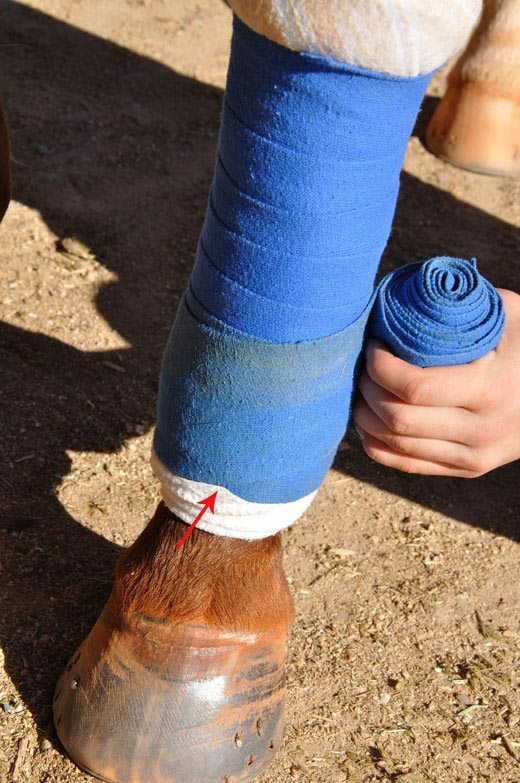 Next, grab your track bandage (usually a cotton or knitted poly-wrap that does not allow for much “stretch,” as opposed to a polo wrap). I prefer to use 12-foot bandages for smaller horses (smaller cannon bones) and 15-foot track bandages for larger horses. I prefer to start the track bandage at the back of the cannon bone as well (the same place at which the quilt was started.) I also start at the top of the leg, just underneath the knee by putting the end of the track bandage underneath the open end of the quilt wrap. 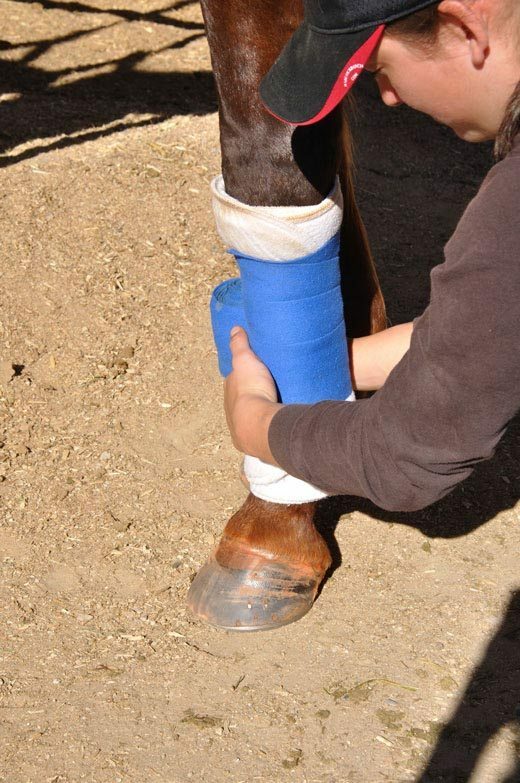 Then, using even pressure, wrap down the leg by overlapping the track bandage approximately half of its width over itself. If more pressure must be applied as I am wrapping, I will apply it only at the back of the cannon bone. 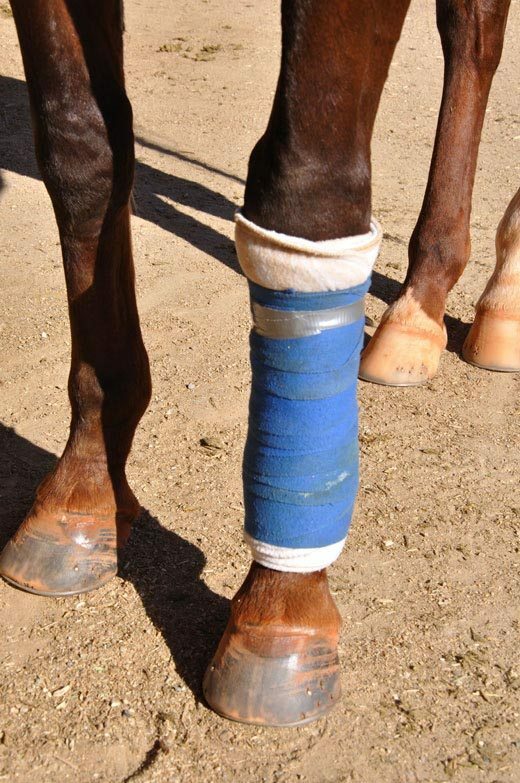 Once at the fetlock, ensure to wrap your track bandage in a “Figure 8” or sling formation, cupping the back of the horse’s fetlock as you do. There should be a slight “V” in the front of your bandage. Proceed to wrap back up the leg, taking great care to leave at least 0.5-1 inch of quilt exposed at the top and bottom of the wrap. And ensure only one wrap is made at the top of the wrap. Too many wraps (in an effort to finish the track bandage and get to the velcro) can cause uneven and unwanted tension at the top of the leg. Honestly, if you get to the top of the wrap and have too much track bandage left over, it’s best to start over. I will admit, the wrap pictured above isn’t perfectly even as it proceeds back upwards, but it will do. Apply a thin layer of duct tape around your velcro fastening to hold the wrap in place and Voila! 2. 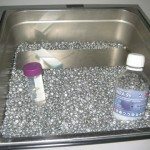 Furacin is thought to be a carcinogenic. 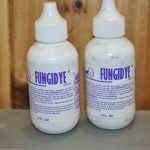 Wear gloves when applying it as well. 3. Do not leave wraps on for more than 12 hours (unless advised to do so by a vet). 4. 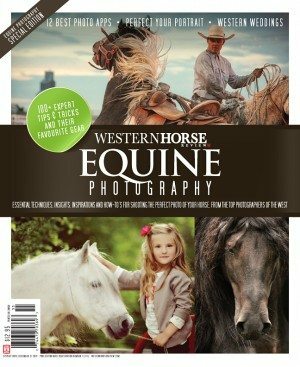 If you are utilizing sweat wraps, it’s wise to give the horse a “rest” period in between sweating applications. For instance, 12 hours with sweat wraps, 12 hours without. 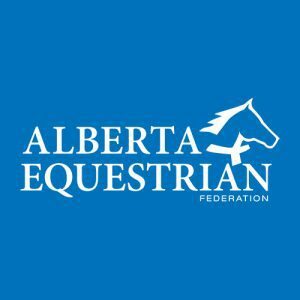 Even if you must put stable wraps on your horse during the rest period, don’t use the sweating compound during this time. 5. 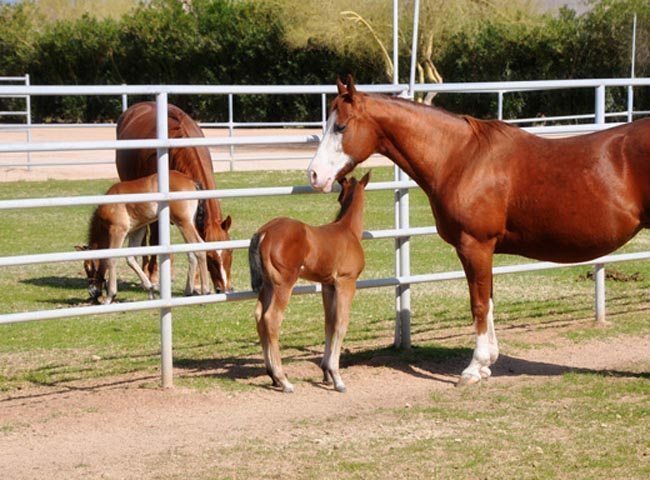 If the horse shows skin irritation to the sweating agent, discontinue its use. 6. Check the bandage often, to ensure it hasn’t slipped down or become unwound. 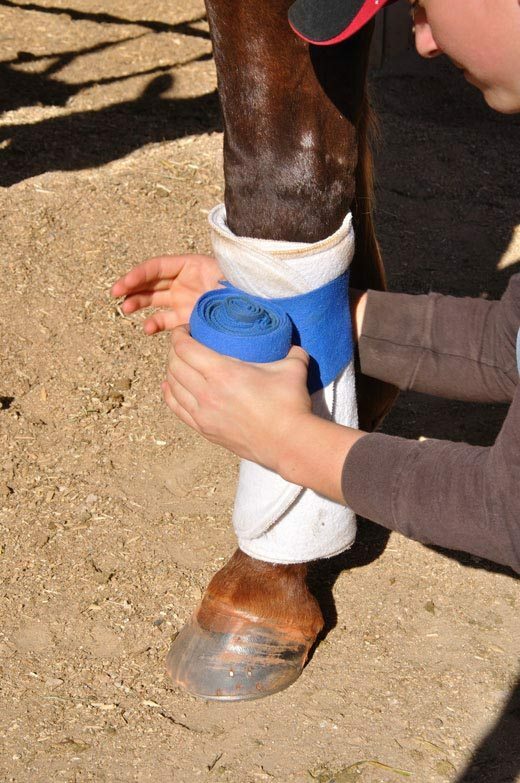 Make certain the wrap cannot cut off circulation, create sores or compress tendons. Thanks so much, the photos are appreciated. 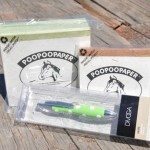 As a new horse owner, I am stinky at wrapping and although my trainer is helpful, they have their days off too and when my horse was injured, it was a tad scary wrapping not having had much practice. How to wrap the upper leg for swelling? Thanks so much for the refresher course! After several years I’ve encountered a need for the information offered.